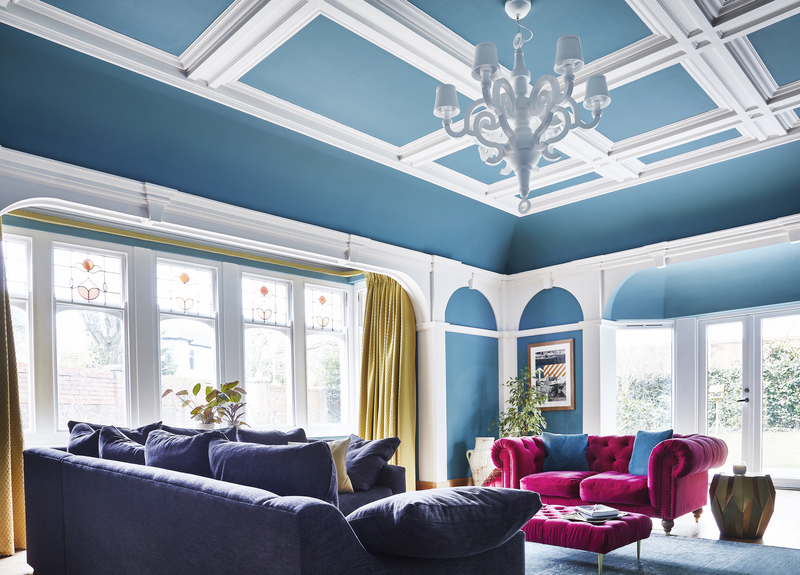 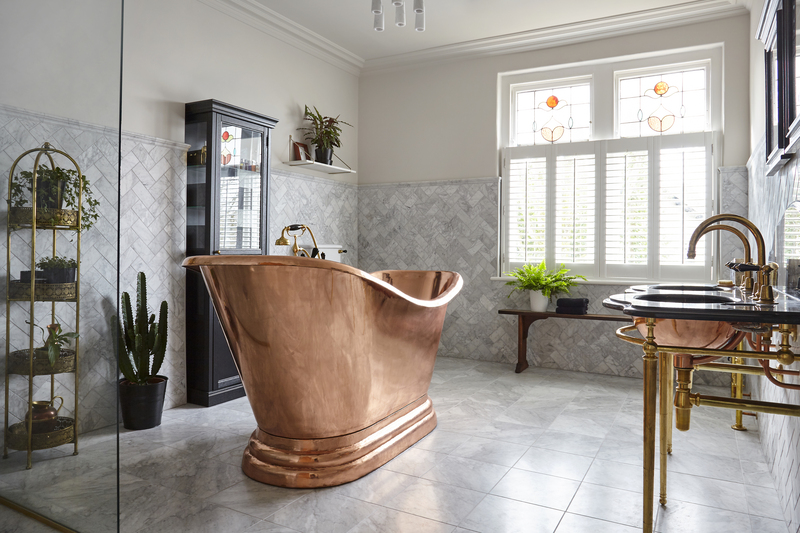 It’s always a pleasure when the client knows exactly what they want so we loved collaborating with James and Rhi on their stunning Edwardian property. 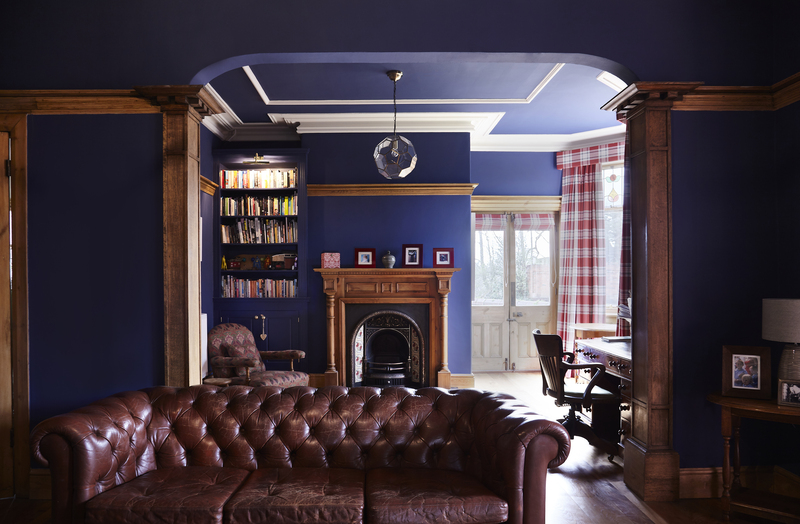 Rhi had a tasteful knowledge of colour and interiors and it was exciting to see how confidently she brought it together throughout the house. 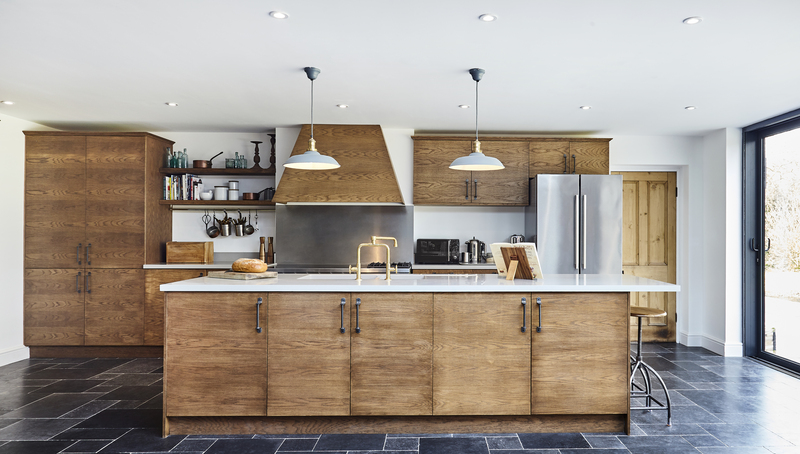 Sometimes an overlooked room in a build, the bright bathrooms became focal points in this project. 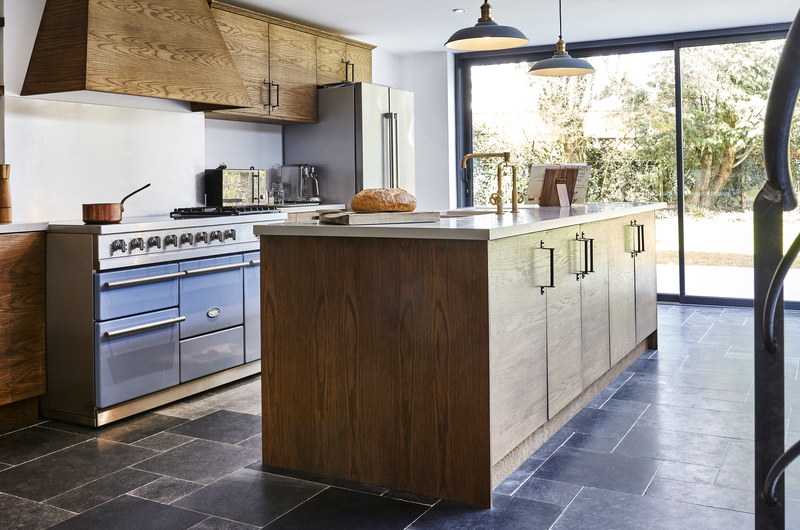 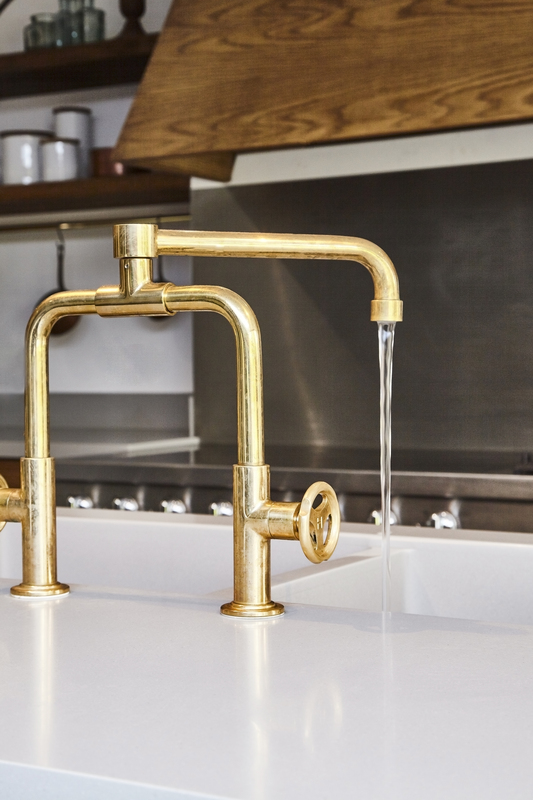 The kitchen lies at the centre of the home, where families gather to live, cook and socialise. 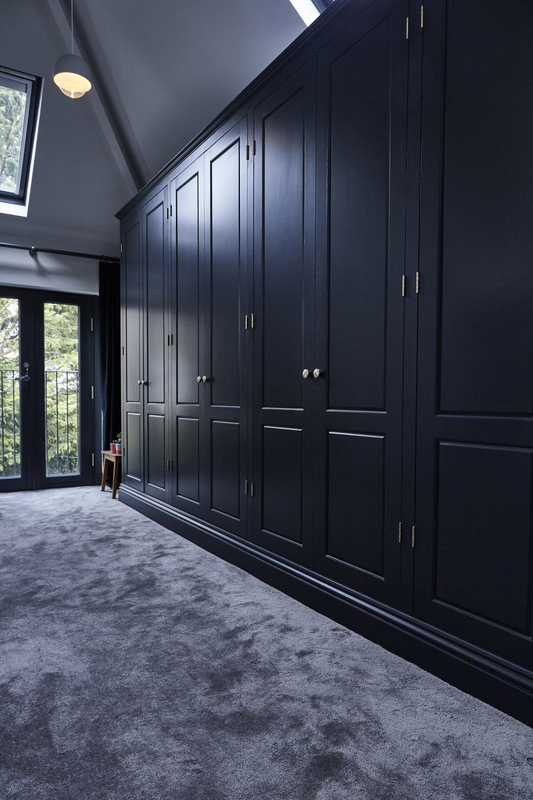 We know how important it is that this space fits the clients needs and personalities exactly, which is why this project was such a special opportunity for our team. 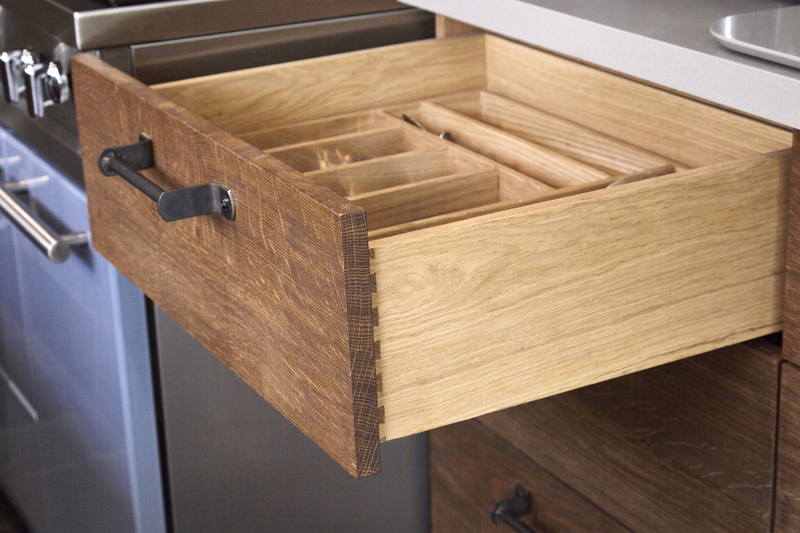 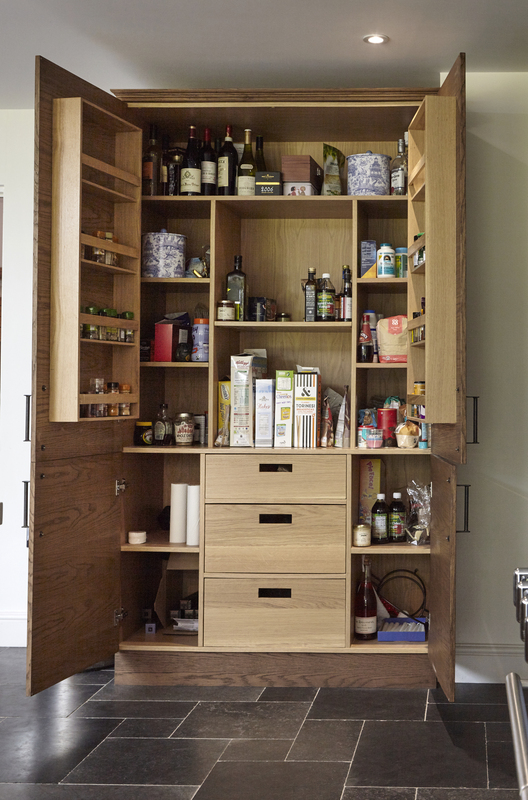 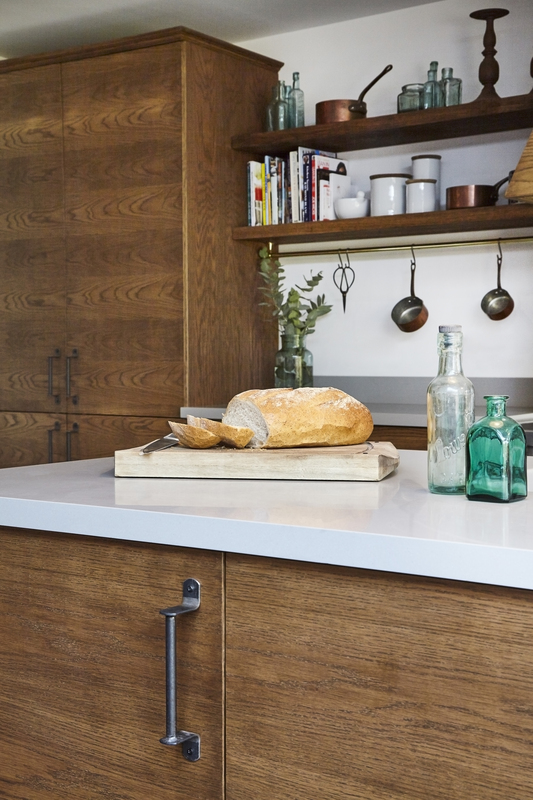 We crafted the cabinet carcasses out of quality ply which ensured the kitchen would stand the test of time, while we tailored the pantry to the family’s living style. 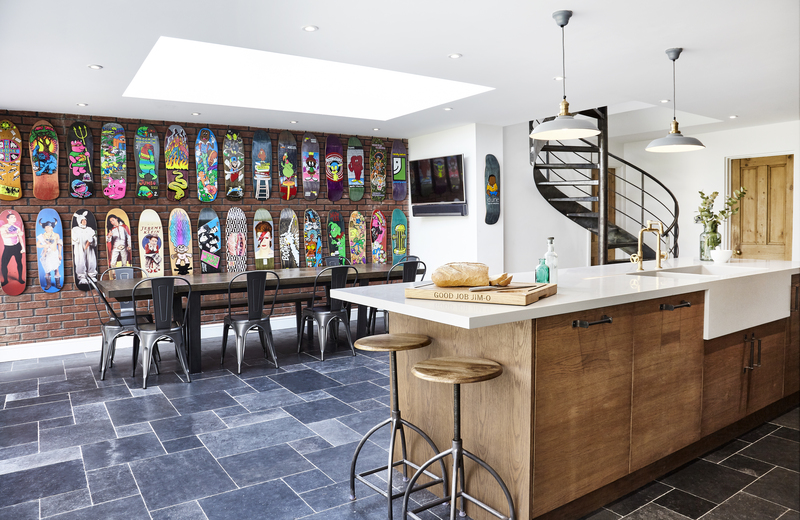 The solid oak cabinet doors, exposed brick and spiral staircase gave the project a truly unique feel and the feature wall of James’ eclectic collection of skateboards brought the space to life. 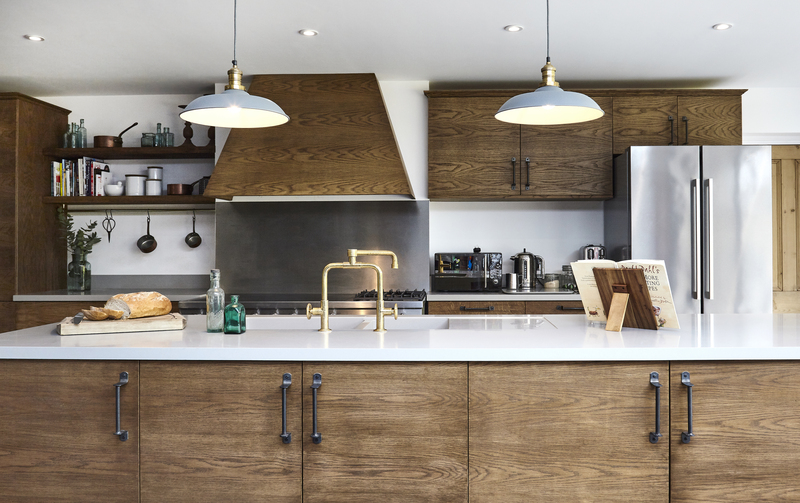 ”Wayne always kept us up to date with progress and ensured that we knew what we were paying for, how it would be delivered, as well as giving us ample opportunity to give our own input.